Arches National Park preserves over two thousand natural sandstone arches, including the world-famous Delicate Arch, in addition to a variety of unique geological resources and formations. In some areas, faulting has exposed millions of years of geologic history. The extraordinary features of the park, including balanced rocks, fins and pinnacles, are highlighted by a striking environment of contrasting colors, landforms and textures. Rocks have attracted visitors to Arches National Park for thousands of years. However, sightseeing has not been the main activity for very long. Hunter-gatherers migrated into the area about 10,000 years ago at the end of the Ice Age. As they explored Courthouse Wash and other areas in what is now Arches, they found pockets of rock perfect for making stone tools. 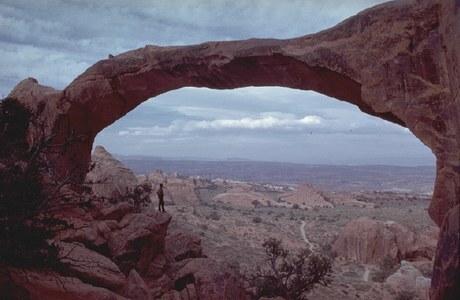 The forces of nature have acted in concert to create the landscape of Arches, which contains the greatest density of natural arches in the world. Throughout the park, rock layers reveal millions of years of deposition, erosion and other geologic events. These layers continue to shape life in Arches today, as their erosion influences elemental features like soil chemistry and where water flows when it rains.